Our client, Boise Paper, has been a long-standing partner of the General Mills Box Tops for Education™ program, helping schools across the country earn money to purchase essential items, such as books, art supplies, sports equipment, instruments and more. 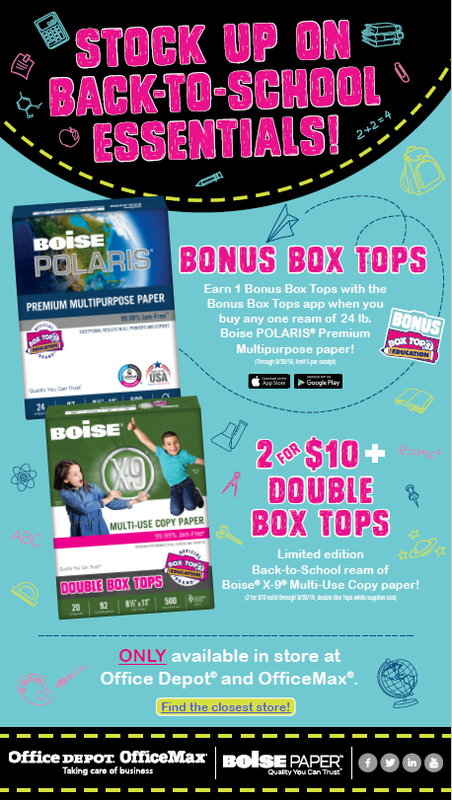 As part of the company’s commitment to providing Paper with Purpose, Boise Paper is proud to support local schools in the communities its customers call home by offering Box Tops clips on select reams of multipurpose paper. During the back-to-school season, LCWA's PR and social media team conducted a multi-faceted campaign to encourage consumers to select products with Box Tops clips while back-to-school shopping and drive awareness of great promotional deals on Boise Paper products. LCWA enlisted influencers The Simple Parent and A Mom’s Impression to co-host our #BoisePaperB2S Twitter Chat. Talking about the Box Tops program and back-to-school shopping, the chat was a huge success with great engagement from over two hundred unique contributors throughout the entire hour! 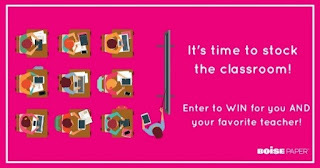 A Facebook Sweepstakes took place over a four-week period and utilized the “Stock the Classroom and Backpack” theme. 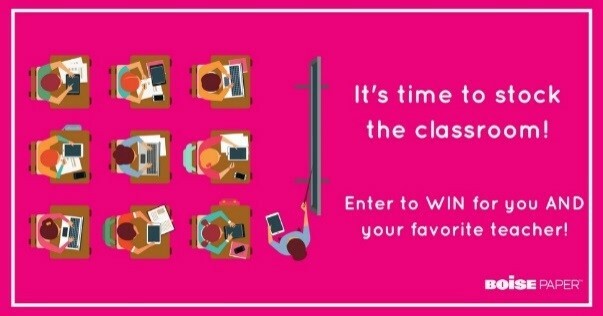 Contestants entered for the chance to win two $250 Visa e-gift cards, one for themself and one for their favorite teacher. Entrants were asked to answer two questions: what is the most essential item in your child’s backpack, and what is the strangest item found in your child’s backpack? Some of the strangest things include a spider, dried Play-Doh, a bird and teeth. Additionally, two Facebook ads ran throughout the summer to promote the use of Box Tops clips and their availability on Boise Paper products. Overall these ads were a huge success in directing consumers to Boise Paper’s special back-to-school reams of paper. Our influencer program featured six bloggers sharing their thoughts on the importance of stocking up on essentials, like Boise Paper products, for homes and classrooms during back-to-school shopping, as well as their thoughts on how Box Tops for Education impacts their schools. Each influencer created great original content! Check out a few of the posts from Pragmatic Mom, Mommy Katie and B-Inspired Mama. We also distributed an e-blast to consumers to generate awareness of the Box Tops for Education clips available on Boise Paper products during the 2018 back-to-school season. With the click-through rate at more than double the industry average, this was one of our most successful e-blasts of the year. Finally, we helped raise awareness and provided support for two back-to-school shopping events in Vancouver, Wash., through social media ads, promoted posts and event pages. Families in the local community were invited to join Boise Paper at two Vancouver stores where kids enjoyed fun crafts and projects while their parents shopped for supplies – a win-win for everyone! Throughout the summer, this campaign successfully spread the word about Boise Paper’s enduring partnership with the Box Tops program and its special back-to-school promotions. Since 2011, Boise Paper has contributed nearly $11 million to U.S. schools across the country. We’re always happy to help our clients celebrate their community involvement!